Response assessment is the clinical, biopathological, and radiological evaluation of disease at an interim time point during treatment or at the end of the therapy to determine and evaluate the success of therapy. 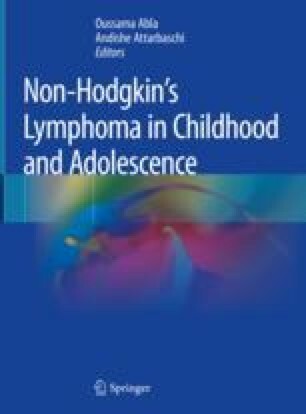 Response determination during therapy for non-Hodgkin lymphoma is important because intensification of therapy for those with residual disease has been proven to be beneficial in some tumor types. Histological confirmation remains the gold standard to differentiate active residual disease from tumor necrosis or inflammatory scar tissue and allows for the application of highly sensitive techniques such as immunophenotyping by flow cytometry, cytogenetics and FISH analysis, and molecular PCR methods. Conventional cross-sectional imaging modalities such as CT are appealing for its ability to assess the entire tumor, is widely available and minimally invasive. Functional imaging with FDG-PET, though not available at all centers, has become an invaluable tool in staging and response assessment, but its role remains unclear and needs to be further evaluated in pediatric NHL. As pediatric NHL is well recognized to be a different spectrum of disease than adult NHL, the need for separate pediatric criteria led to a multidisciplinary collaboration resulting in the development of the International Pediatric NHL Response Criteria. Future use and adoption of these standardized criteria will allow for comparison of treatment efficacy across multiple regimens and improve clinical decision-making.